A simple supplement with a range of benefits. Magnesium is the 2nd most common deficiency in developed countries (with vitamin D being number 1). 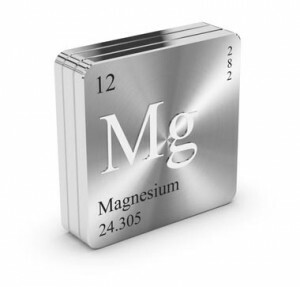 Magnesium is a dietary mineral that is an important cofactor for over 300 reactions and processes in the body. It can be obtained from food (with a diet high in leafy greens, nut and legumes), but modern diets tend to be low in these foods. Combine this with processed junk foods that tend to leach further minerals from the body and you can see why it can become an issue. One the biggest benefits to taking supplemental magnesium is its positive affect on lowering high blood pressure. Current recommendations are to take supplemental magnesium at a daily dose of 200-400mg. The key with magnesium supplementation to take it with food and choose a form that is is easy to digest. As most of the supplement will end up in the toilet. It’s also a good way to assess if your multi-vitamin is actually any good, if it contains one of these forms, chances are you are wasting your money. For the most part, just the basics are needed to help optimise your health and boost your results. It’s also worth noting that the basics don’t cost the earth and are generally ignored by most large supplement companies because of the small profit margins they offer.